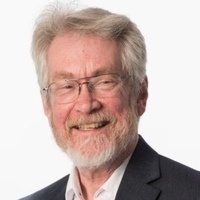 The Dean's Distinguished Lecture Series in Information Technology and Society is proud to present Alex "Sandy" Pentland, Professor of Media Arts and Sciences, Toshiba Professor, Media Lab Entrepreneurship Program Director, Massachusetts Institute of Technology. How can we live in a world of AI, big data, social media echo chambers and cyberattacks? How can we create a cyberculture with a human feel, but yet is competitive with cultures where the machines run everything?